Another special thanks to Digital Grange Fine Art Services for helping Cruisin’ The Boulevard bring the fine art created by local artist Elise Durenberger and making it affordable to the public. Elise has over 200 hours of production this year in creating the "Uncapped for 2016" artwork logo. 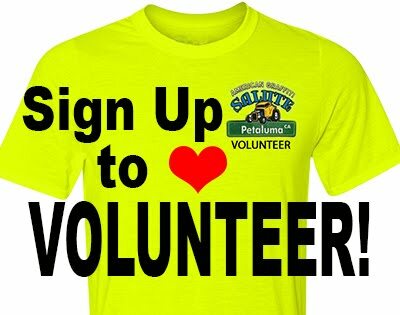 Now celebrating our 11th year what better way than to commemorate a scene from the movie where John Milner stops by a local gasoline station in Petaluma on highway 101 that still stands today to uncap his headers. Rumor has it that the station may not be there much longer so if you're out for the event this year you may want to get one last picture of you and your hot rod there! Limited Edition Pigment Print 14x18 rag paper 1/100 signed by artist Elise Durenberger. Limited Edition Pigment Print 24x30 Canvas 1/25 signed by artist Elise Durenberger. Today you can order your own Limited Edition Pigment Print. With Digital Grange's help we've created two reproductions available to the public. The first linted to 1/100 print is on rag paper 14x18" and bordered and signed by the artist. The second limited to 1/25 on canvas 24x30" a close visual appearance of the original masterpiece. Both come with a certificate of authenticity signed by the artist. 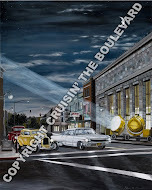 All net proceeds from the sale of these Limited Edition Pigment Prints allow Cruisin' the Boulevard to carry out their mission investing in our own community projects as well as other community programs that benefit arts, education, history, safety and welfare. Elise A. Durenberger, Fine Artist and Designer, is back for her third year as Event Artist for Cruisin' the Boulevard. 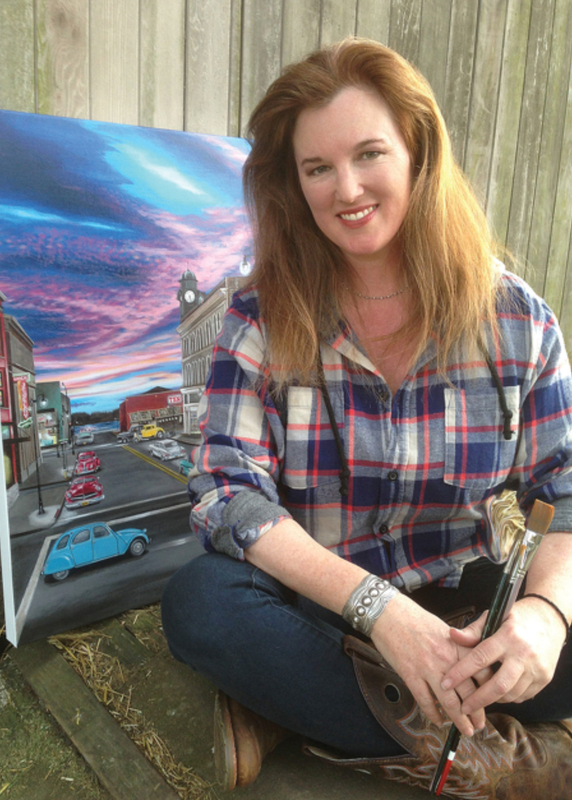 In collaboration with the CTB board members, a scene to create the mood for this year's event was chosen and Elise set forth with paint and brushes and her love of the cars we all adore. Following the ambitious celebration of the 10 cars (including the scooter!) from last year's art, there was some trepidation on how to follow that colorful painting. As Elise began sketching and working with the platform of the Kastania Gas Station in a hybrid of old and new, those marvelous cars did their magical, sparkling part and the painting came together, beautifully. 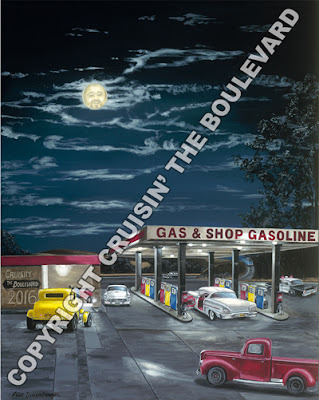 Once again, working with the acrylic paint on canvas, the lighting effects and brilliance of color have allowed the artist to create a custom painting we can enjoy and regard as another slice of nostalgia from the movie, American Graffiti, and the beloved, generous cinematic backdrop of Petaluma, California. 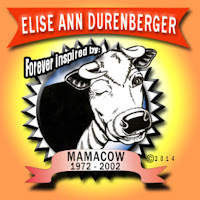 To view Elise’s artwork online, please “like” her page, Mamacow Creations on Facebook, or visit her Elise A Durenberger's blog.